4 x High-energy ignition coils with built-in igniter. This kit is designed for high performance applications running on an after-market ECU. However, in some cases this ignition system can also be used with a factory ECU. These race-bred high-energy ignition coils can be used to build a very serious ignition system on a reasonable budget. We do not recommend these for distributor applications, but for direct coil-per-plug ignitions they are ideal. Each coil features a built-in IGBT igniter with external heat sink. 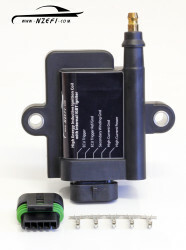 This allows the ECU to trigger these coils directly without the need for a separate external igniter. This saves cost, reduces complexity and increases reliability. We have worked with many other coils that also feature a built in igniter, but none have delivered the performance that these coils are capable of. Under extreme conditions, this coil will deliver outstanding ignition system performance that is normally only possible with a CDI system. Uses a HEI post-type output for excellent resistance against misfire and compatibility with many brands of HT leads. As an option, we also offer a pre-wired loom which combines the 4 individual coil connectors to a single Deutsch DT connector and separate common ground terminal. This kit, suitable for 4 cylinder engines or 2-rotor rotary engines , includes 4 high energy coils, the mounting bracket and hardware, and sealed plugs for faultless performance in damp or dirty environments. 13B Rotary, 4G63, SR20, CA18, FJ20, B16A, B18C, H22A, F20C, K20A, 3SGE, 4AGE, 1ZZ, 2ZZ, and Mazda B6/BP engines. A 4 coil kit suitable for EJ20 / EJ25 Subaru engines is available. 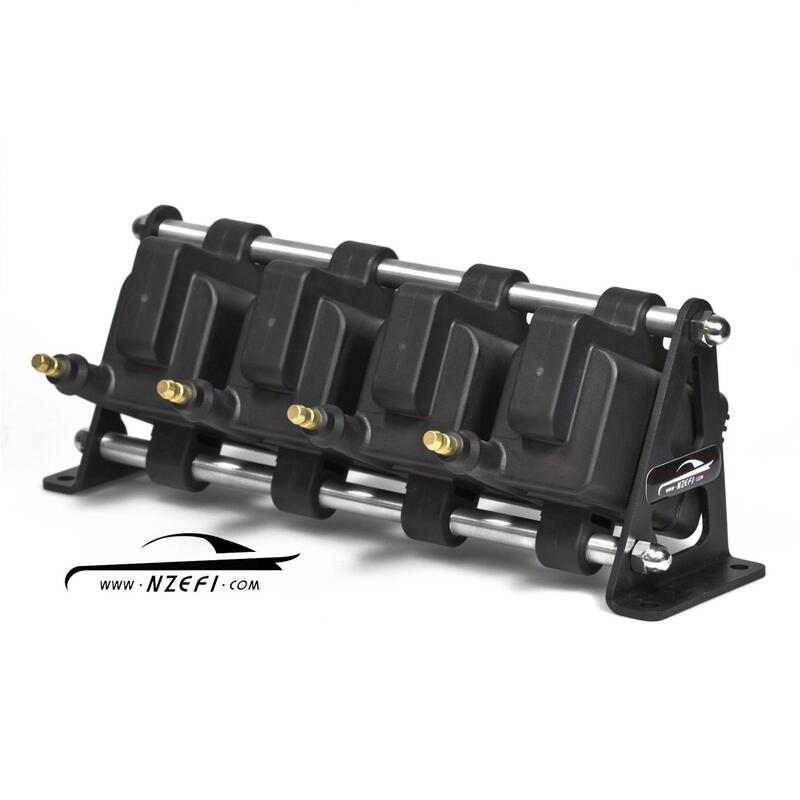 This kit has 2 pairs of coils so that one pair can be mounted by the right bank and the other by the left bank. 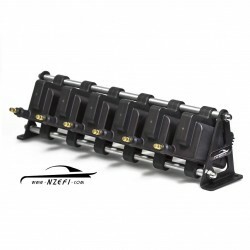 For V8 applications, two of these 4 coil kits can be used. These coils are also available individually (with plug). A 6 coil kit for 6 cylinder engines is also available.